Thousands of bike accidents occur every day and because bicycles provide the rider no protection against collisions, many of these accidents cause severe injuries. According to the Centers for Disease Control, nearly 500,000 bicyclists are injured or killed every year in the United States. So, considering the high risk already associated with bicycling, would you willingly increase your odds of an accident? Your answer may be the obvious “no,” but this is exactly what you're doing when you take out your phone, listen to music, or focus on anything other than the road before you. As with driving, simple distractions can cause catastrophic accidents. Don't add to the statistics. Instead of endangering yourself, stay safe by remaining focused and keeping the manageable distractions at bay. Make sure your line of sight is unobstructed. Since balance is a huge part of bike riding, it is important to know all of the dangers you could face. A simple crack in the road could throw your balance off and cause you to veer into traffic. This is why it's important to watch out for upcoming hazards such as vehicles and pedestrians as well as immediate hazards such as debris or uneven ground. Leave the headphones at home. Headphones can muffle warning sounds such as squealing brakes or pedestrians shouting, increasing your chance of not being able to stop until it's too late. Put your phone away. There isn't a single text, call, or status update that is important enough to put your life (or the lives of the people around you) at risk. Put the phone away and answer, update, and photograph once you've come to a complete stop. Justified Concerns or Paranoia? How Do You Feel About Biker Distractions? Sometimes, no matter how many precautions you take or rules you follow, accidents will happen. If you're a victim of a bike accident, you may be entitled to injury compensation. 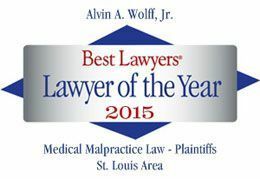 Call us today for a free review of your case and information about filing an injury claim. We're here to help you pedal your way to justice, and we won't stop until you get what you deserve. Call now for your free consultation. In the comment section provided, tell us about your personal experiences with riding while distracted or being a victim of an accident caused by a distracted rider. We would love to hear what you have to say and by hearing your experiences we'll be better able to help you with your claim. Share now and see how we can help you!